Minutes of a teleconference meeting of the Executive Board held 12noon (London time), 7th August 2018. Minutes of a teleconference meeting of the Executive Board held 12noon (London time), 26th June 2018. Minutes of a teleconference meeting of the Executive Board held 12noon (London time), 5th June 2018. Minutes of a teleconference meeting of the Executive Board held 12noon (London time), 9th May 2018. Minutes of a teleconference meeting of the Executive Board held 12noon (London time), 6th February 2018. Minutes of a teleconference meeting of the Executive Board held 12noon (London time), 12th December 2017. Minutes of a teleconference meeting of the Executive Board held 12noon (London time), 16th January 2018. Minutes of a teleconference meeting of the Executive Board held 12noon (London time), 14th November 2017. Minutes of a teleconference meeting of the Executive Board held 12noon (London time), 3rd October 2017. Minutes of a teleconference meeting of the Executive Board held 12noon (London time), 6th September 2017. Minutes of a teleconference meeting of the Executive Board held 12noon (London time), 25th July 2017. Minutes of a teleconference meeting of the Executive Board held 12noon (London time), 15th June 2017. Minutes of a teleconference meeting of the Executive Board held 12noon (London time), 3rd May 2017. Minutes of a teleconference meeting of the Executive Board held 12noon (London time), 14th March 2017. Minutes of a teleconference meeting of the Executive Board held 12noon (London time), 3 January 2017. Minutes of a teleconference meeting of the Executive Board held 12noon (London time), 6 December 2016. Minutes of a teleconference meeting of the Executive Board held 12noon (London time), 8 November 2016. Minutes of a tele-conference meeting of the Executive Board held 12noon (London time), 5 July 2016. Minutes of a teleconference meeting of the Executive Board held 10am London time, 4 May 2016. Minutes of a teleconference meeting of the Executive Board held 10am London time, 12 April 2016. Minutes of a tele-conference meeting of the Executive Board held 10.00am, London time, 8 March 2016. Minutes of a tele-conference meeting of the Executive Board held IOam, London time, 15 February 2016. Minutes of a teleconference meeting of the Executive Board held 10am, London time, 19 January 2016. Minutes of a tele-conference meeting of the Executive Board held 10am London time, 8 December 2015. Minutes of a tele-conference meeting of the Executive Board held 10am (London time), 3 November 2015. Minutes of a tele- conference meeting of the Executive Board held 10.00am, London time, 6 October 2015. Minutes of a tele-conference meeting of the Executive Board held 10.00am London time, 3 September 2015. Minutes of a tele-conference meeting of the Executive Board held 10am London time, 4 August 2015. Minutes of the tele-conference meeting of the Executive Board held 10am London time, Tuesday, 1 July 2015. Exact Editions, the digital publishing platform, has renewed its ABC accreditation. Minutes of the tele-conference meeting of the Executive Board held 10am London time, Tuesday, 2 June 2015. Minutes of the tele-conference meeting of the Executive Board held 10.00am (London time), Wednesday – 13 May 2015. Minutes of a tele-conference meeting of the Executive Board held 10.00am, London time, 3 March 2015. Minutes of a tele-conference meeting of the Executive Board held 10am London time, Tuesday – 7 April 2015. ABC to deliver independent certification to newly agreed Social Video Code. Minutes of a tele-conference meeting of the Executive Board held 10am London time, Monday – 16 February 2015. Minutes of a tele-conference meeting of the Executive Board held 10,00am London time, Tuesday – 20 January 2015. Minutes of a tele- conference meeting of the Executive Board held 10am, London time, 2 December 2014. Minutes of the meeting of the Executive Committee held at 4.00pm, Monday – 3 November 2014 in the Windsor Atlantica Hotel, Rio de Janeiro, Brazil. Minutes of a tele-conference meeting of the Executive Board held 10am (London time) 20 October 2014. Minutes of the meeting of the Executive Board held immediately after the General Assembly Thursday – 6 November 2014 in the Windsor Atlantica Hotel, Rio, Brazil. Minutes of a tele-conference meeting of the Executive Board held 10am, London time, 22 September 2014. Minutes of a tele-conference meeting of the Executive Board held 10am, London time, 27 August 2014. Minutes of a tele-conference meeting of the Executive Board held 10.00am London time, 21 July 2014. Minutes of the meeting of the Executive Board held 10am (London time), 7 May 2014 in Zagreb. Minutes of a tele-conference of the Executive Board held 10am, London time, 10 March 2014. Minutes of a tele-conference of the Executive Board held 10am, London time, 18 February 2014. Minutes of the tele-conference meeting of the Executive Board held 10am London time, 20 January 2014. Minutes of a tele-conference meeting of the Executive Board held 10.30am London time, Monday – 16 December 2013. Minutes of a tele-conference meeting of the Executive Board held 10.00am London time, Monday – 9 September 2013. Minutes of a tele-conference meeting of the Executive Board held 11am (Vienna time) 15 May 2013. ABC_UK: RT @Ulster_Business: Great talk from @ABC_UK this morning at the @PANIofficial business breakfast! ABC_UK: RT @ArnoldJnr: @ABC_UK are on stand 7 and looking forward to a busy day at #ppaconf ..come say hello! ABC_UK: Welcome into membership @LawyerMonthly . Let us know if you need anything. Minutes of a tele-conference meeting of the Executive Board held 10.00am, Monday – 18 February 2013. ABC_UK: @CharlotteFoot the latest certificates are available at http://t.co/Vchenrbi7V. Search for the name of the newspaper you are after. BPAWorldwide: Wind Systems is set to blow away its competition thru transparent audience data now that it has applied for@BPAWorldwide membership. ABC_UK: RT @NialF: At the #abcbriefing talking about and listening to "all things digital edition"
ABC_UK: Welcome into membership @NECCaravanShow and @springcaravan from NCC Events Ltd. Let us know if you need anything. BPAWorldwide: Water Utility Infrastructure Management has made the choice to provide advertisers with transparent audience data. Welcome to @BPAWorldwide! ABC_UK: RT @vickywoollaston: Very proud to be part of @webusermagazine today. We are up 4.7% yoy according to ABCs http://t.co/u8UcwIRQ GO TEAM! ABC_UK: ABC's Richard Foan is chairing the AOP Programmatic Trading Event today http://t.co/e6DzaWqX great speakers will ensure a lively debate! BPAWorldwide: Congratulations to European Pharmaceutical Manufacturer, which recently achieve @BPAWorldwide business membership. Welcome! BPAWorldwide: Modern Pumping Today will have full audience transparency tomorrow thanks to their new @BPAWorldwide business membership. Congraulations! BPAWorldwide: Vancouver-based lifestyle title, Montecristo Magazine, recently announced its consumer application with @BPAWorldwide. Welcome aboard! ABC_UK: Welcome aboard @Examiner and welcome back @getreading from Trinity Mirror Regional #websites. Let us know if you need anything. ABC_UK: Welcome aboard @healthyfoodmag from Eye to Eye Media. Let us know if you need anything. Minutes of a tele-conference meeting of the Executive Board held 10am (London time), Monday – 17 December 2012. Minutes of a tele-conference meeting of the Executive Board held 10.00am, London time, 19 November 2012. ABC_UK: Welcome aboard @MiketheKnightUK, @alphablocks and Horrible Histories all from @Immediate_Media. Let us know if you need anything. ABC_UK: Welcome aboard @1854 from @Incisive . Let us know if you need anything. ABC_UK: Welcome aboard @NatGeo Traveller. Let us know if you need anything. ABC_UK: Welcome into membership @NauticalInst Seaways #magazine. Get in touch if you need anything. BPAWorldwide: Je Cuisine, the Quebec, Canada-based magazine, is one of the most recent titles to be voted in as @BPAWorldwide consumer member. Bienvenue! ABC_UK: @WHICHMEDIA thanks for the retweet. ABC_UK: Welcome aboard @wonderpediamag from @bauermedianews . Let us know if you need anything. ABC_UK: Brand safety, bots & spiders, digital publications find out all the latest developments stand 10 #custdirect @PPA_Live today! ABC_UK: Hi @danbarker. You can use the search bar on the website to find a certificate. Let us know if you need any help. ABC_UK: Welcome into membership @OswestryChron from Shropshire Newspapers Ltd. Let us know if you need anything. ABC_UK: Welcome aboard @PracPhotoshop from @futureplc . Let us know if you need anything. ABC_UK: Welcome aboard @MyDrivingBiz from @bauermedianews . Let us know if you need anything. ABC_UK: Welcome aboard @TRERenewables from @i2iEventsGroup . Let us know if you need anything. BPAWorldwide: @texterity Always happy to help! ABC_UK: @paulfcockburn: @scotsmanpaper and @pressjournal qualify as both a national and regional newspaper. The choice is made by the publisher. BPAWorldwide: Vision Magazine – Fresh Perspectives from Dubai, which applied for @BPAWorldwide consumer membership, sees the value in audited circulation. BPAWorldwide: Congratulations to UAE-based Pipeline Magazine, which recently applied for @BPAWorldwide membership. Great choice! BPAWorldwide: Umanned Systems Magazine recently applied for @BPAWorldwide business membership. Double high-five to you for audience transparency! ABC_UK: Welcoming our latest digital publication titles @edgeonline and @totalfilm from @futureplc. Give us a buzz if you need anything. ABC_UK: Welcome aboard @MacFormat from @futureplc .Let us know if you need anything. BPAWorldwide: Incisal Edge is all smiles since it applied for @BPAWorldwide consumer membership. BPAWorldwide: Cool new enewsletter on email testing, Which Site Won? http://t.co/X56aSo5X from Anne Hollland. If you're emailing, its worth checking out. BPAWorldwide: #CMWorld keynote Marcus Sheridan: "They ask; you answer" = content marketing gold. BPAWorldwide: CM World 2012: Google's Sam Sebastian told audience understanding Zero Moment of Truth can help every brand. What's ZMOT? Google it to see. BPAWorldwide: @BPAWorldwide welcomes Commercial Integrator as one of its newest business members. BPAWorldwide: Folio: Magazine, serving the magazine publishing industry, has completed its initial audit and is a proud @BPAWorldwide member. Welcome! 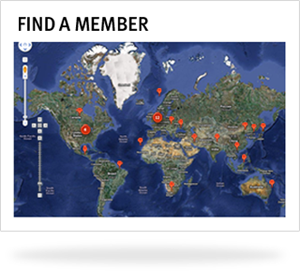 ABC_UK: Welcome in to membership @DCDFOCUS . Let us know if you need anything. BPAWorldwide: Another media brand with a taste for transparent audience data, Independent Restaurateur, is a new @BPAWorldwide member. Cheers! BPAWorldwide: @BPAWorldwide <3's DAIC - Diagnostic & Interventional Cardiology - one of the latest publications to apply for membership. ABC_UK: Welcome aboard @MollieMakes @NPhotomag from @futureplc. Let us know if you need anything. ABC_UK: Welcome into membership @UKWomensHealth. Let us know if you need anything. ABC_UK: Welcome in to membership @Rastamouse_irie and Girl Talk Art from Immediate Media Company. Let us know if you need anything. pauldovas: New ABC Digital Metrics are live with ABC March 2012 data release. Visit http://t.co/zKw09fQo for further details.